Wednesday 31st January 2018 – 11.30am – Claire Brown. A pedestrian received emergency care by ambulance staff after a road traffic collision in Birmingham yesterday evening. West Midlands Ambulance Service was called to the junction of William Cook Road and St Margarets Road in Ward End, Birmingham, shortly after 5.30pm yesterday. An ambulance and a paramedic officer attended the scene. A West Midlands Ambulance Service spokeswoman said: “Crews arrived to find a woman lying on the road with serious injuries after reportedly crossing the road and colliding with a car. Tuesday 30th January 2018 – 12.20pm – Claire Brown. A man has been airlifted to a major trauma centre after a collision with a lorry in Warwickshire left him seriously injured this morning. West Midlands Ambulance Service was called to Chapel Lane, Ullenhall in Henley-in-Arden, at 9.00am today (Tuesday). An ambulance, a paramedic officer, a local community first responder and the Warwickshire and Northamptonshire Air Ambulance with a doctor on board attended the scene. A West Midlands Ambulance Service spokeswoman said: “When ambulance crews arrived they found a pedestrian, a man in his 70s, who had been involved in a collision with a lorry. Monday 29th January 2018 – 8.40am – Murray MacGregor. Despite advanced life support from ambulance staff, a man has died after he was in collision with a van outside West Midlands Safari Park near Bewdley. Emergency crews were alerted to the incident at 4.55am this morning, Monday. A West Midlands Ambulance Service spokesman said: “On arrival, ambulance staff found the man in a very serious condition with CPR being carried out. “The man was moved to the back of an ambulance where ambulance crews and the doctor worked on him. Thursday 25th January 2018 – 10.20am – Claire Brown. 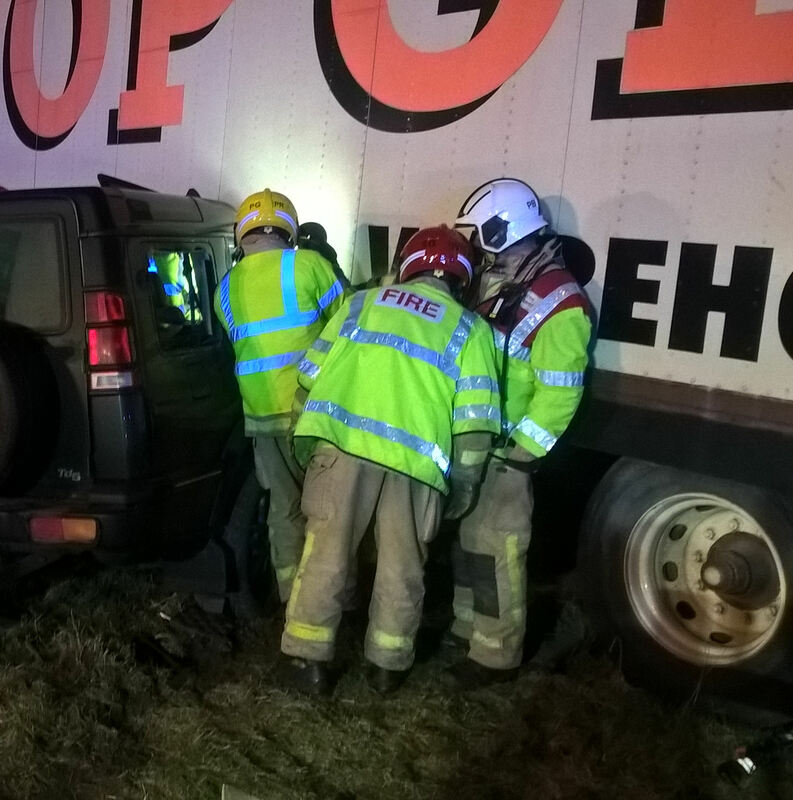 A collision involving a lorry and a car last night left a woman trapped for almost an hour in the wreckage in Worcestershire. West Midlands Ambulance Service was called by the police at around 8.30pm last night to reports of an RTC on Pershore Lane, Hindlip, Worcestershire (Wednesday). A paramedic and BASICS doctor responded to the incident in a car from the Strensham Air Ambulance base along with an ambulance, a paramedic officer and a MERIT trauma doctor. A West Midlands Ambulance Service spokeswoman said: “When emergency services arrived they found a car which had sustained significant damage following a collision with a lorry. The driver of the car, a woman, was trapped in the wreckage but was fully conscious. Whilst ambulance staff and the doctors worked to assess the woman, the fire service worked carefully around them to release her from the car. 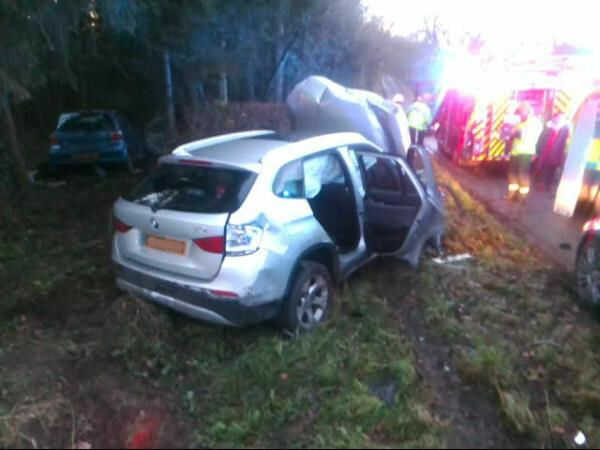 Medics administered advanced pain relief to the woman, as she had sustained pain in her arms and abdomen, to help stabilise her condition during the extrication process. “After around 40 minutes, the woman was cut free by the fire service. She was carefully lifted out of the wreckage and immobilised onto a scoop stretcher before being taken by land ambulance on blue lights to Queen Elizabeth Hospital Birmingham. Wednesday 17th January 2018 – 4.20pm – Jamie Arrowsmith. One man has died and a second has been taken to hospital following a collision between a lorry and bus this afternoon. West Midlands Ambulance Service was called to Warwick Road in Stratford-upon-Avon just before 1.45pm and sent two ambulances, two paramedic officers and the Midlands Air Ambulance from Strensham to the scene. A West Midlands Ambulance Service spokesman said: “On arrival crews discovered two patients, one in each vehicle. “Unfortunately, it quickly became apparent that nothing could be done to save the lorry driver and he was confirmed dead at the scene. “The bus driver, a man believed to be in his 50s, was trapped as a result of the damage to his vehicle and with the help of the fire service was cut free after about 45 minutes. Friday 12th January 2018 – 9.30am – Claire Brown. West Midlands Ambulance Service was called to the A49 in Bodenham, Hereford at around 2.30pm. Two ambulances, a paramedic officer and the Midlands Air Ambulance from Cosford with a MERIT trauma doctor on board attended the scene. A West Midlands Ambulance Service spokeswoman said: “The motorcyclist, a man, suffered multiple serious injuries and was in cardiac arrest. Ambulance staff took over CPR efforts by bystanders and performed advanced life support on scene. Sadly, despite the best efforts, nothing could be done to save the man and he was confirmed dead a short time later. Thursday 11th January 2018 – 11.35am – Claire Brown. West Midlands Ambulance Service was called to reports of a collision involving a car and a tree on Binley Road in Coventry shortly after 6.00am today (Thursday). Three ambulances, a paramedic officer and a MERIT trauma doctor attended the scene. 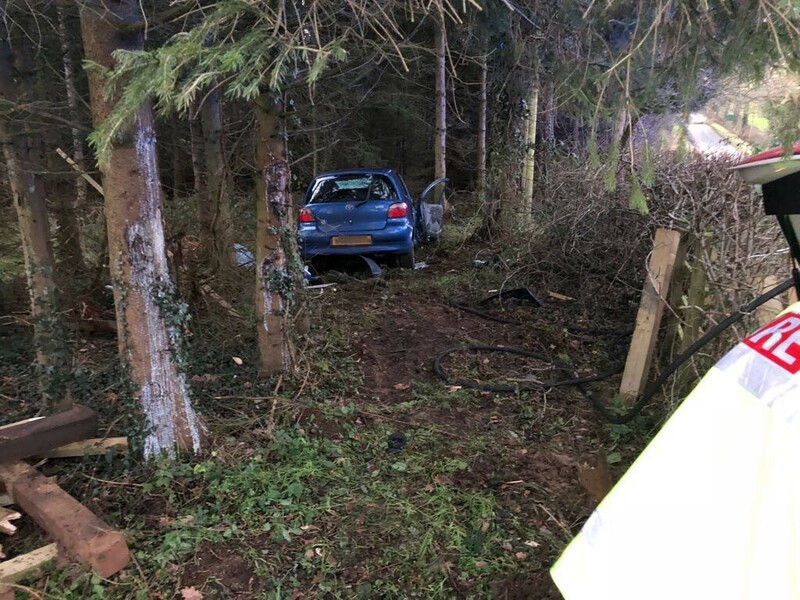 A West Midlands Ambulance Service spokeswoman said: “Emergency services arrived to find a car which had been involved in a serious collision with a tree. Sadly, it quickly became apparent to ambulance staff that nothing could be done to save one occupant, a man, and he were confirmed dead on scene. “A second occupant, a man, was in a critical condition. Ambulance staff and the doctor worked rapidly as a team to administer advanced trauma care to the man on scene before he was conveyed by ambulance on blue lights to University Hospital Coventry and Warwickshire for further trauma care. The doctor travelled in the ambulance to continue advanced treatment and monitoring en route. The man was said to be in a critical condition upon arrival at hospital. “A third occupant, a man in his 20s, was treated on scene for less serious injuries before being taken to the same hospital for further checks. Tuesday 9th January 2018 – 5.20pm – Claire Brown. A man has been given advanced trauma care by ambulance staff this afternoon following a road traffic collision. West Midlands Ambulance Service was called to the junction of Redditch Road and Granshaw Close in Kings Norton, Birmingham at around 3.30pm this afternoon (Tuesday). Two ambulances, a paramedic officer, the West Midlands CARE Team medics and a MERIT trauma doctor and air crew from the Cosford Air base attended the scene by response car. A non-emergency patient transport service crew who were passing also stopped and assisted at the scene. A West Midlands Ambulance Service spokeswoman said: “When ambulance staff arrived they found a motorcyclist, a man, being cared for by off duty nurses and passers-by. The man had sustained multiple serious injuries which required the medics and ambulance staff to work closely as a team to administer advanced trauma care quickly to help stabilise his condition. Monday 8th January 2018 – 4.45pm – Murray MacGregor. Two people have died after a light aircraft crash. The single engine aircraft came down at around 12.45pm today in a field near Overbury, Tewkesbury. Due to the foggy conditions at the time, the Midlands Air Ambulance from Strensham, with a doctor and critical care paramedic on board, had landed a couple of miles from the crash scene and were picked up by a paramedic officer in a car and were taken to the scene. Two ambulances and a second paramedic officer also attended. Sadly, it quickly became apparent that nothing could be done to save either person and they were both confirmed dead at the scene. Monday 8th January 2018 – 1.55pm – Murray MacGregor. Ambulance staff are at the scene of a light aircraft crash. Two ambulances and two paramedic officers are at the scene. Further details about any casualties will be issued as they become available. How did 4×4 driver escape serious injury? Monday 8th January 2018 – 10.16am – Murray MacGregor. The driver of a 4×4 vehicle has an extraordinary lucky escape after the front of his vehicle ended up underneath an articulated trailer. The incident happened on the A49 From Prees Green to Weston, near Wem at around 8.40pm last night (Sunday). An ambulance, a paramedic officer and the MERIT Trauma Doctor and Critical Care Paramedic attended. 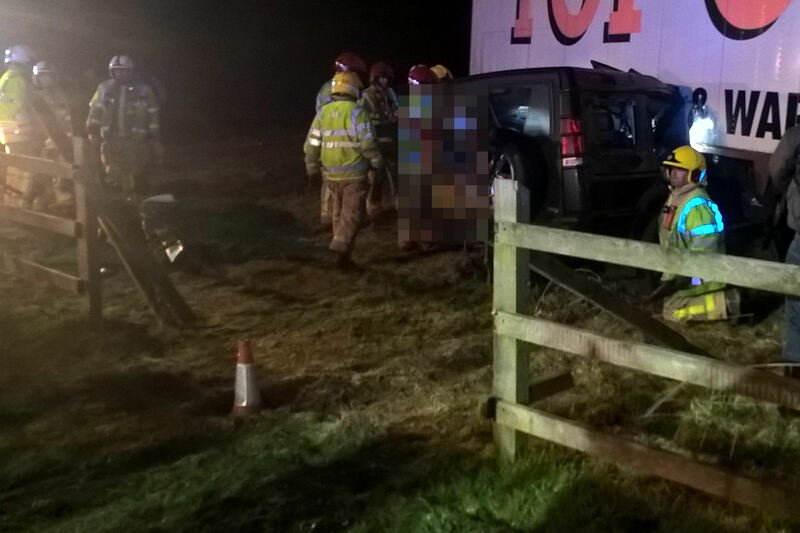 A West Midlands Ambulance Service spokesman said: “On arrival, crews found a LandRover Discovery that had left the road, gone through a wooden fence and collided with a parked up articulated trailer. “The front end of the LandRover was under the trailer with the driver’s side of the 4×4 crushed. 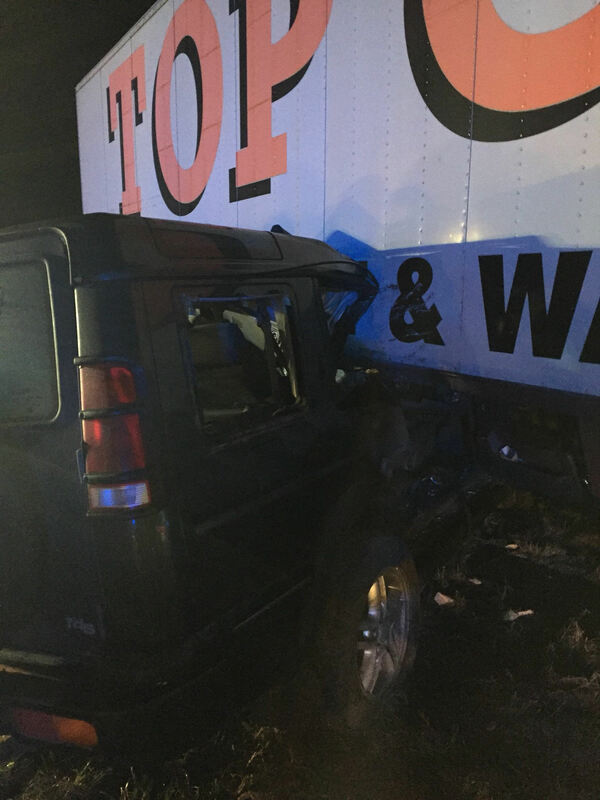 The driver, a 30-year-old man, was fully conscious throughout. The ground-breaking documentary, ‘Ambulance’ on BBC One was one of the most watched programmes of 2017 and we’re delighted to confirm that the camera crews are back filming with West Midlands Ambulance Service gathering stories for a new series. The programme will feature ambulance crews from across the region helping patients in their hour of need as well as staff in the Trust’s two emergency operations centres. Filming started at the end of November and included cameras following staff on the road and in the control rooms on New Year’s Eve, traditionally the busiest time of the year. The new programmes follow Series 2 which also featured the West Midlands and brought in audience of over 4 million per episode. The series will feature ambulance crews from across the region helping patients in their hour of need as well as staff in the Trust’s two emergency operations centres. Filming started at the end of November and included cameras following staff on the road and in the control rooms on New Year’s Eve, traditionally the busiest time of the year. The new series is expected to broadcast later in the year. 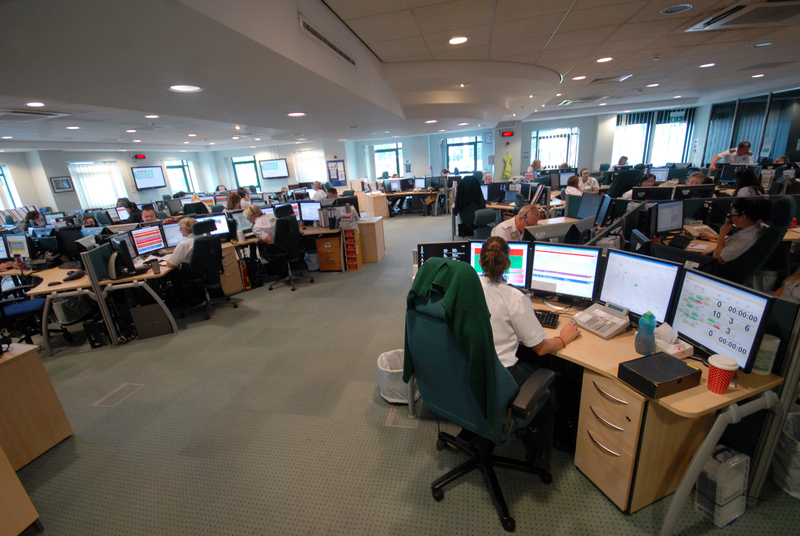 Trust Chief Executive, Anthony Marsh, said: “What is unique about this programme is the way that it intermingles the work of the staff in our control rooms with those on the ambulances responding to calls. We get to see the entire journey from the moment the 999 call is received through the help provided over the phone; the way ambulances are dispatched and the work of the crews on the ground. “The thing that came across so strongly from the first series was the incredible professionalism of our staff as they deal with the challenges that they are presented with, never knowing what the next call might bring. Covering a diverse region of more than 5,000 square miles – the filming will follow crews from every corner of the West Midlands; from inner city Birmingham to the rural areas of Herefordshire and the Staffordshire Moorlands. During the programmes, you’ll get to see how the staff deal with an increasingly busy service with some days over 4,000 999 calls. It will look at the way the Trust deals with an ageing population and the challenges of working with out-of-hours services and GP surgeries as well A&E departments who are also getting increasingly busy. Kirsty Cunningham, Executive Producer with Dragonfly Television who are making the programme, said: “We are thrilled to be back with the fabulous crews and control teams at West Midlands Ambulance Service for a new eight-part series of Ambulance for BBC1. Friday 5th January 2018 – 9.30am – Claire Brown. 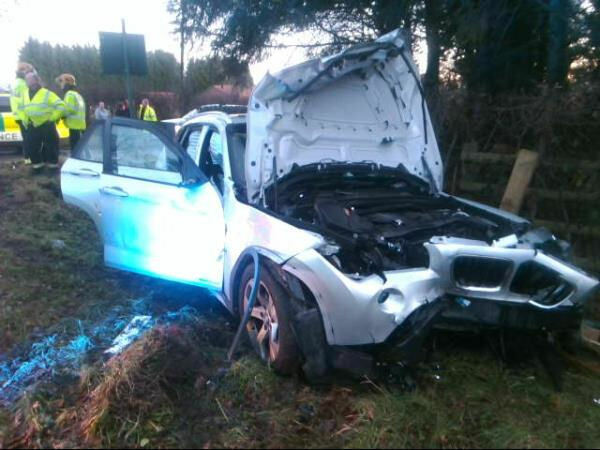 Two women have sadly died following an early morning road traffic collision on the M42. 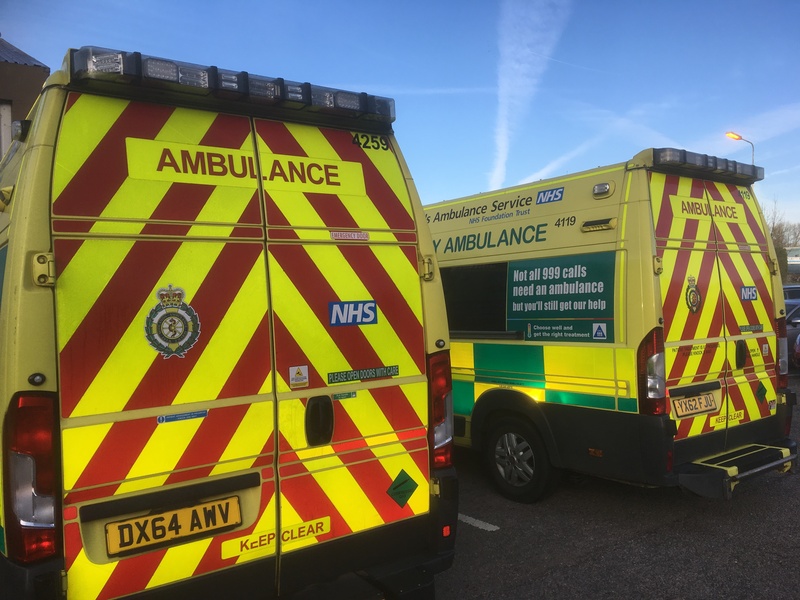 West Midlands Ambulance Service received a 999 call from the police to reports of a collision involving a car and a van on the M42 between junctions 9 and 10 northbound near Curdworth, Sutton Coldfield at around 3.20am this morning (Friday). An ambulance and two paramedic officers attended the scene. A West Midlands Ambulance Service spokeswoman said: “Crews arrived to find a serious collision involving a car and a van. Sadly, it quickly became apparent that nothing could be done to save two passengers in the car, two women, and they were confirmed dead on scene. “The driver and third passenger from the car, two men, were assessed by ambulance staff and were found to have sustained minor injuries but didn’t require hospital treatment. Friday 5th January 2018 – 9.15am – Murray MacGregor. 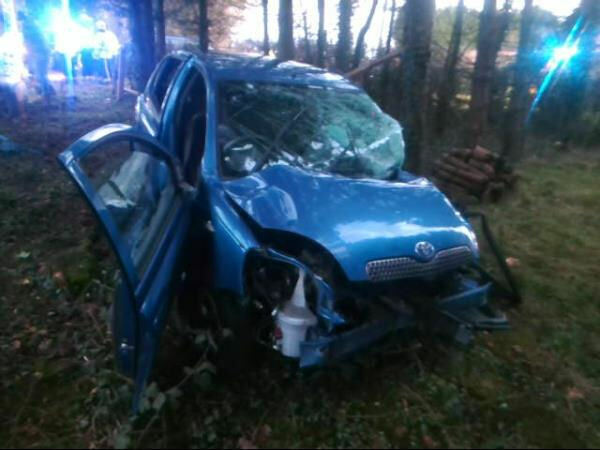 A man has suffered a serious leg break after a two-car collision left one of the vehicles in a wooded area. The crash happened at about 3.30pm on Thursday afternoon at the junction of Table Oak Lane and Holly Lane in Balsall, Warwickshire. 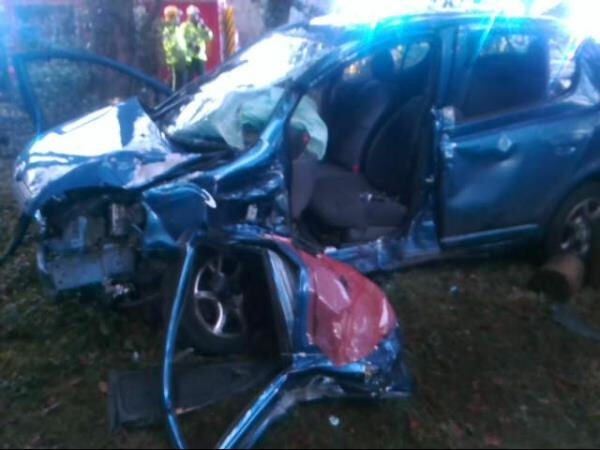 “The front seat passenger, a 20-year-old man was trapped inside the vehicle. Ambulance staff and the doctor worked with firefighters to extricate him through the driver’s door. The 21-year-old driver had largely escaped any injury. He had managed to get out of the car himself and had only sustained minor abrasions to his face. After assessment, he was discharged. Wednesday 3rd January 2018 – 4.20pm – Claire Brown. A man has sadly died following a building fire in Worcestershire this afternoon. West Midlands Ambulance Service received a 999 call from the fire service to reports of a building fire at 2.50pm on Tolladine Road in Warndon, Worcester. An ambulance, a paramedic officer and the Midlands Air Ambulance from Strensham with a BASICS doctor on board attended the scene. A West Midlands Ambulance Service spokeswoman said: “An ambulance, on the way to hospital with a patient on board, came across the fire and stopped to render aid. “Sadly, nothing could be done to save a man and he was confirmed dead on scene.